Webroot is actively working to address the issues with the Webroot Mobile Security & Antivirus app and again apologizes for any inconvenience you may be experiencing. So far, our QA testing indicates the 5.5.5 beta version shows improved app performance and reduces device resource usage significantly. We want to release an update as soon as possible but we have yet to complete a full QA cycle. This is where you can help. If you're able, please head over to our beta signup page to request access. After completing the steps, you'll be able to download one of the beta builds as we'd love to hear your feedback while we continue our internal dev and QA work. Again, this isn't mandatory nor the official release but receiving real-world feedback will greatly expedite the official update. @freydrew Where do you want us to leave our replies about this Beta? Some of those replies to the BETA are listed in the Mobile Android Beta Thread already. Thanks @Ssherjj . Give me a second, I'm going to move those conversations into this thread so we have one place to talk about this. Update - It looks like with post timestamps it might actually be a bit confusing bringing those conversations over here. Let's start using this thread moving forward regarding 5.5.5. Getting this error all day when doing a manual scan. After clicking "OK" in the error above this window has a endless spinning circle. Thanks @Ssherjj for sharing. We'll pass this onto the Product Team. Thanks! Ok, thanks for letting us know. Same issues as @Ssherjj and @smith2006 so Uninstalling once again! Thank you for that information Daniel. (YAY BETA Team)! Does running a VPN affect the functioning of webroot v5.5? I am using AdGuard AdBlocker for Android which acts like a VPN (the combo of AdGuard & Webroot worked perfectly previously). I have tried disabing AdGuard, but still the same Error CODE_1011. I do not believe that @freydrew is online to answer this question. But I don't believe AdGuard has anything to do with the Beta error that we are getting.. I run VPN (Webroot WiFi Security). So I just think we will have to wait for a fix..
That is a great question though. It's good if Webroot could confirm & rule out this possibility as we do not know what are the "Under the hood app security enhancements" implemented. If you read through the reviews in Play Store for the release version, there are other users getting this error with v5.5 & they are running a VPN. Same reported issues as above on my end. It's good if Webroot could confirm & rule out this possibility. Hey Smith all you need to do is send out a Support Ticket and the Support Team will confirm this for you/us. You know? It couldn't hurt. Maybe @TripleHelix or @Baldrick could answer your questions much better then I? And thank you, you also have a nice weekend! 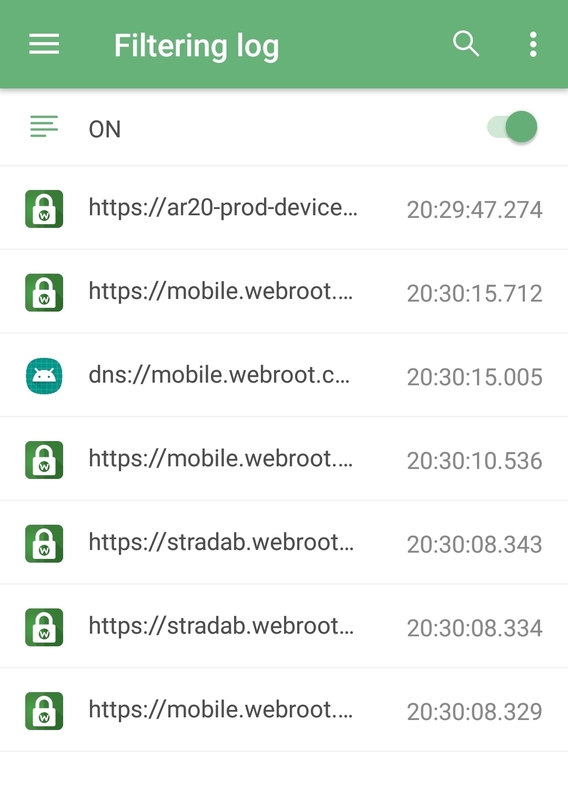 My phone, a motorola G6 play has just upgraded to Android 9 (PPP25.55-25) and although everything else on the phone works as expected I find that Webroot secure anywhere mobile is not working. When I try and perform a scan it freezes and I get an Error Code--1011 and a message stating that there is either limited or no connectivity. I get this with either Wi Fi connected and on 4G. I can access the internet so there is a connection. I have tried uninstalling and reinstalling the App and rebooted my phone but still get the same result. Can you help or advise please. Updated to the latest v5. 5.5.37980 Beta released awhile ago. Doro 8035 Version 7.1.2 & Doro 8030 Version 5.1.1 whilst they both suffer the latter is most affected by battery perfomance I've had to remove Webroot. Yes got this update too from the Play Store (Webroot Beta) this morning @smith2006 and I scanned it twice and it's working. How's your VPN working? Looking good but still needs some more optimizing to save battery power! I'm sorry in advance as I am a total techtard so I don't know how to forward any images. But what I can tell you is that I have the same screen as above from Sheri's capture, with it progress bar sitting there with just a little yellow sliver, then it does that whirling circle and then says scan complete and offers the finish tab that then throws me back to the app page that says all of the features are ON and that I am protected. My big fear right now is that I am NOT protected because the app can't scan properly to find threats. Am I worried for nothing or... Oh, wait... It's probably better if I don't know that! What I notice missing in this beta version 5.5.5.37980, but I remember it being in production releases, is during the Scanning I do not see the visual indicator of file name it is scanning. What I do see is that the app does send out and receive information during scanning, and when I install a new app. 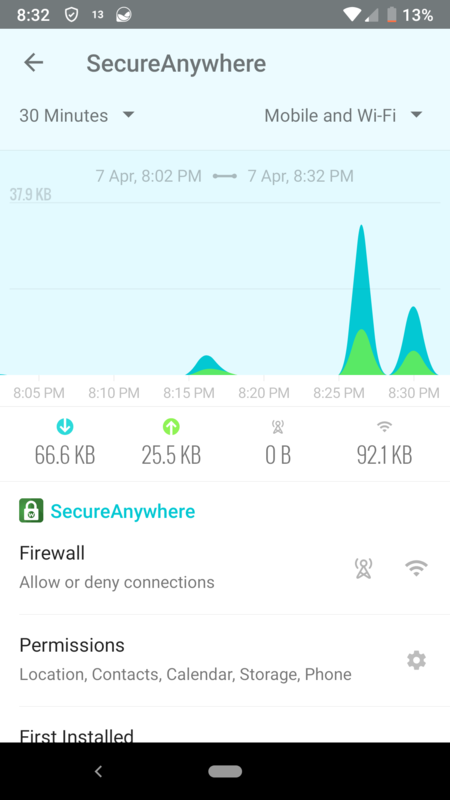 In this pic, I performed a scan around 8:26p and installed a new app around 8:30p and there is internet activity for SecureAnywhere as shown by the GlassWire Data Usage Monitor app. So at least this provides some level of comfort that it's doing something for Central Analysis. 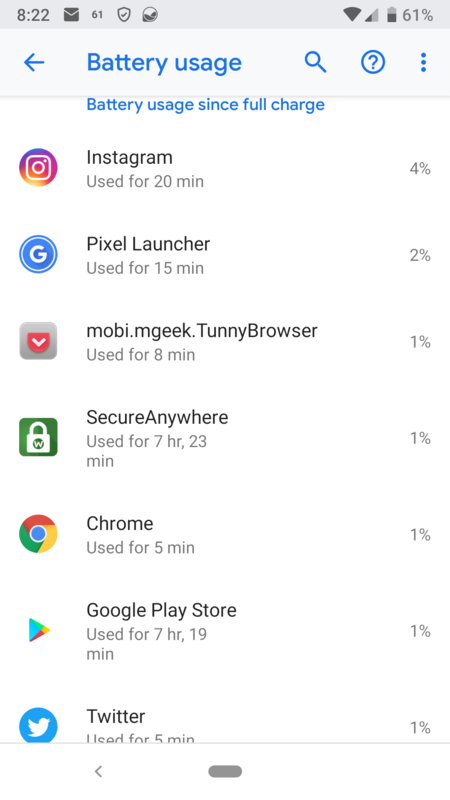 I'll monitor battery usage overnight. 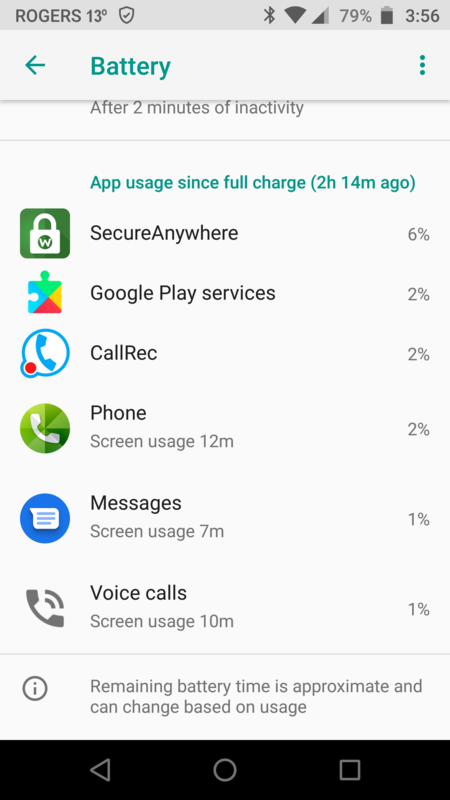 Good news as far as SecureAnywhere v5.5.5.37980, no high battery usage. Getting persistent "Current scan out of date" message, no way to get rid( tried numerous scan) .